CANBERRA, Jan. 21 (CGTN) - Australian Defense Minister Christopher Pyne will make his first visit to China at the invitation of Chinese Minister of National Defense, General Wei Fenghe, who met Pyne in Singapore in 2018. Pyne departed on Tuesday for a six-day overseas trip that will also take him to Singapore and Japan. He said in a statement that the defense relationship with China was key to security in the Asia-Pacific region. The Australian government is committed to maintaining a long-term constructive relationship with China that is founded on shared interests and mutual respect, the minister said. 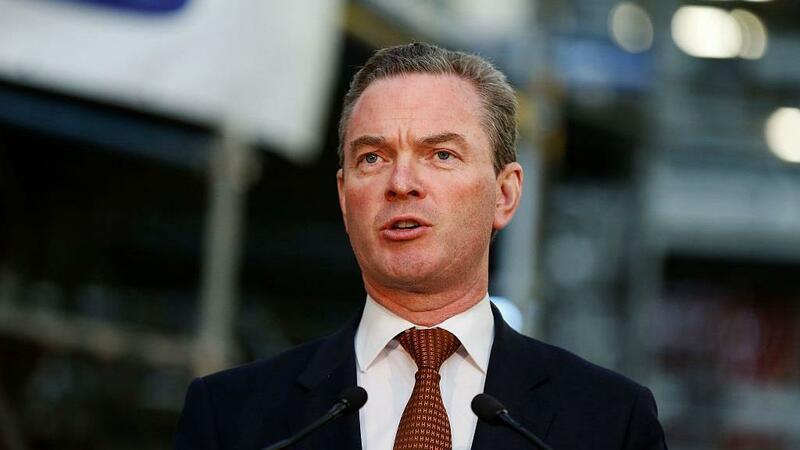 In addition to holding talks with his Chinese counterpart, Pyne will also meet several other Chinese officials to discuss security and bilateral issues. Prior to arriving in China, he will visit Japan to discuss opportunities for the two countries to cooperate with Takeshi Iwaya, Japan's minister for defense. His trip will conclude in Singapore where he is due to meet Prime Minister Lee Hsien Long, Defense Minister Ng Eng Hen and address the International Institute of Strategic Studies (IISS) Fullerton Forum. Much of the trip will focus on building on the commitment to regional peace made by Prime Minister Scott Morrison in his speech to the Asia-Pacific Economic Cooperation (APEC) meeting in Port Moresby last November.